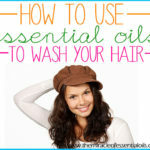 Check out the top 10 best smelling essential oils for hair and how to use them for gorgeous scented locks! We all want out hair to smell good always, don’t we? That’s why many people wash their hair every day and use heavily scented hair products everyday. However, if you want to go the natural route, avoiding artificial fragrances in shampoos, serums, hair sprays and other hair care products, then welcome essential oils into your life! 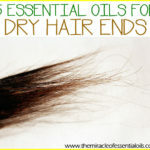 One of my favorite ways to use essential oils in my daily life is using them on my hair! Most essential oils have pleasant scents. But what are the best smelling essential oils for hair? Check out ten of our favorite oils below! 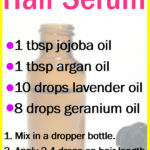 This is the easiest way of using essential oils for your hair. Simply add 2-3 drops of your fav smelling essential oil (I like geranium, rose, jasmine and ylang ylang) on your hair brush. Brush your hair as usual. 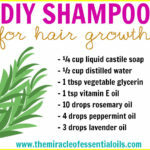 It will leave a nice lingering scent on your locks! 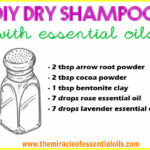 To an 8oz shampoo or conditioner bottle, add 20-25 drops of essential oil. Hair sprays are fun and refreshing! You can easily fore-go the artificial fragrances and other chemicals in store-bought hair spray by making your own! Wanna have hair that smells gorgeous always?! 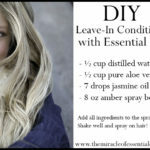 Try this DIY Essential Oil Hair Perfume! The best part is you can keep spritzing the hair perfume on throughout the day to keep your hair smelling amazing all the time.